What is it about Americans and cars? Maybe it’s the sheer size of our country, or our heritage from our pioneer ancestors who were forever exploring the open road, but most of us have a real attachment to our cars. While plane travel and gas prices have made some difference in vacation plans, the tradition of seeing the country from the road remains strong. Start planning your next road trip with these two new books. Drives of a Lifetime from National Geographic. 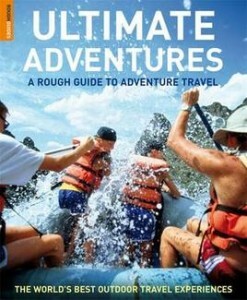 This coffee-table-worthy book covers 500 trips world-wide, from spectacular scenery to sophisticated cities. Divided by types of trips (including mountains, sea, rivers, villages, urban, historic and gourmet) you’ll find the famous (the Grand Canyon, Mt Fuji, the Cotswolds of England) to the less traveled (the coast of Newfoundland in Canada, Cuban byways or the Okavango Delta in Botswana) Scattered throughout are quick “top ten” drives by subject (Wilderness Drives, Untamed Roads, African River Drives, Music Drives, Spectacular Bridges) and several “ultimate road trips” with more detail (Australia’s Great Ocean Road, Arches and Canyons of Utah, Sunset Boulevard in California) As you would expect from National Geographic, the photographs are outstanding. 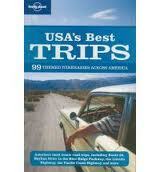 USA’s Best Trips from Lonely Planet. 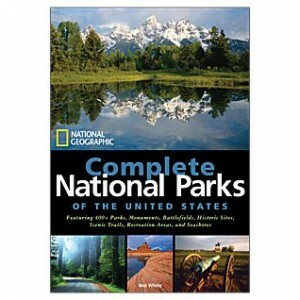 No photos but lots more detail, this title concentrates on just the US with 99 itineraries with something for everyone including lists by theme (city, historic, culinary, etc) Most range in length from 2 to 5 days and are arranged geographically so it’d be easy to string two or more together. Some of the most fun are the longer, iconic cross-country trips – Route 66, Massachusetts to Miami, the Lincoln Highway, the Blue Ridge Parkway, the Great River Road, the Great Divide (Rocky Mountains) and the Pacific Coast Highway. You’ll never be short of ideas for the your next great American road trip. If you like to travel, you’ll love this book! 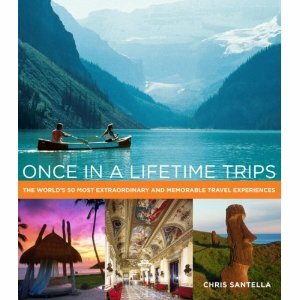 In creating this little treasure of a book, Once in a Lifetime Trips: The World’s 50 Most Extraordinary and Memorable Travel Experiences, author Chris Santella interviewed travel experts with first-hand knowledge of the destinations described. The photographs alone are enough to make one drool — the stunning full-page color vistas really seem to capture the essence of each location– and make one dream of someday seeing them in person. Included are some places I’ve always wanted to go to (such as Machu Picchu in Peru); others I’ve never even considered (Mongolia or Cappadocai) and some, such as Provence by Bike, that I just might have to investigate. One drawback — these are not cheap trips — they are first class, often even using private jets to conveniently transport guests get from point A to point B, so for most of us, they really are once in a lifetime trips, if ever. Still, it doesn’t hurt to drool and dream! 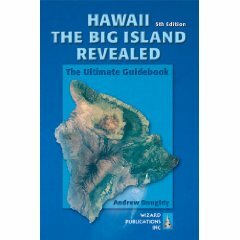 Aptly subtitled “the Ultimate Guidebook,” Hawaii: the Big Island Revealed was a great help to us on our recent trip to The Big Island. Authors Andrew Doughty and Harriett Friedman were terrific “tour guides.” The prose is well-written, humorous and thorough. I was so glad we took this book along! It can be overwhelming to plan a trip to a far-away place, but the authors told us what to do and what to skip. All the recommendations they made were well worth following. And when we didn’t follow but struck out on our own, our results were less than stellar. I liked how they rated places to see with “Real Gem” or “Not to be Missed” icons. 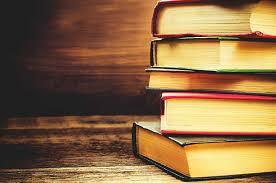 The authors tell you where to turn by mile marker. I had no idea how extremely helpful that would be until we began driving and realized that there is very little signage along the roads. Businesses are not allowed signs in front, but only can put their names on the buildings themselves, so it is easy to drive right by and miss the place you were looking for. Also, even the highways signs were different, so the mile marker directions were important. Our guidebook made it safely to The Big Island, was well used while there, and is back on the shelf at the library. If you are planning a trip, take this “Real Gem” along! Even if you aren’t going, it is a fun and interesting read!